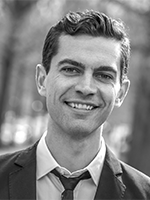 Prior to beginning his DPhil research, Sam obtained a Master of Environmental Management at Yale University studying energy politics and grassroots innovations in the US. He also holds a BA in Human Ecology from College of the Atlantic. In addition to his academic work, Sam serves as Managing Editor at ActivistLab.org, an online publication dedicated to cultivating research and conversation on social change innovation. Sam's research examines the relationship between distributed electricity generation and political-economic egalitarianism in the United States. Focusing on community renewable energy groups in the US, Sam is investigating ways in which distributed, democratic control of energy resources impacts discourses and attitudes around economic inequality and political empowerment.